Aalto University Executive Education Ltd extends the opportunities for high-level lifelong learning in the public and private sectors by strengthening and developing new funding options. Increasingly, an individual’s or employer’s own financial standing alone does not allow them to reach the highest international level, which emphasizes the crucial role of parallel financing options. “The significant and challenging change in the working environment inspires individuals and organizations to develop their skills and competences continuously. 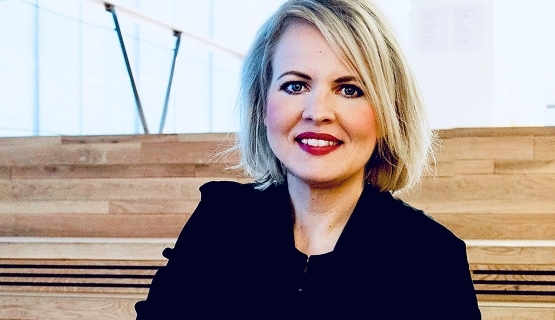 By developing funding options, Aalto EE increases flexibility and improves access to high-level management and expert training programs,” says Nana Salin, who started as Associate Director of Alternative Funding this February. She has extensive experience in the management and development of funding, partnerships and public relations in the university and cultural sectors. Aalto EE builds its financial partner network on key foundations, funds and public players in both Finland and the Nordic countries as well as in Europe. “I believe that our commitment appeals to many financiers. Investments in management and competence development are known and proven to have a high input-output effect. By enabling the programs, the participants and participating organizations not only receive fish, but gain the skills to fish for themselves in the future,” says Dr. Pekka Mattila, Group Managing Director for Aalto EE and Professor of Practice at Aalto University School of Business. The first financial challenges will be taken on to enable the new Nordic Culture Management program. The program will reinforce the success of cultural institutions by developing the leadership skills of key personnel. The challenges of cultural management are the same as in any sector where new skills are needed to ensure the future of operations. “Arts and cultural organizations need the equally strong leadership expertise as leading consumer brands. They compete for people’s time and interest. Their pedagogical and educational mission is realized only by reaching the audience effectively and building the right networks,” Pekka Mattila says. Aalto EE is known in Finland and internationally for its excellent learning development solutions. It provides training, development services and education for business executives, experts and entrepreneurs. Aalto EE is owned by Aalto University, which brings a cross-disciplinary approach and new, innovative learning methods to the development of experts and leaders. Aalto University Executive Education Ltd offers thought-provoking leadership development. Aalto University brings to our offering a multidisciplinary approach, together with innovative learning methods; this provides a unique combination of practical expertise with the latest research. Aalto University Executive Education’s strengths lie in its global operating model and diverse offering. In addition to Finland and Singapore, where it operates under the name of Aalto Executive Education Academy, Aalto University Executive Education offers education programs in multiple locations worldwide. As a part of Aalto University, it holds three respected business university accreditations – AACSB, AMBA, and EQUIS – which places it among the top 0.5% of institutions in the world.